In Fall 2018, I worked as a Studio Developer for Scout. 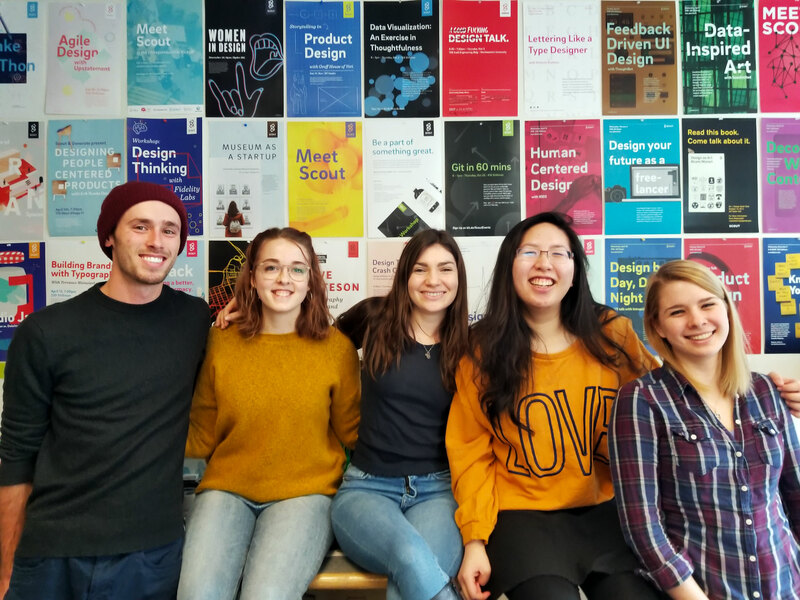 In three months, our five-person student team (three designers, two developers) created a new brand identity and assets, packaging, a brand book, and a fully-functional marketing and e-commerce website for our client – a young granola bar company started by a Northeastern alumna. For the first half of the semester I focused on user experience design, helping create lo-fi packaging and website wireframes in addition to conducting user research and iterating on logo designs. For the second half of the semester, I worked with the other developer on the team to translate high-fidelity mocks into a responsive WordPress website, built using Twig and WooCommerce. Our team worked in weekly sprints, meeting twice a week to review our work internally and with our client. Our design process encompassed user and competitive research, brand development, logo and packaging designs, and website information architecture and wireframing. 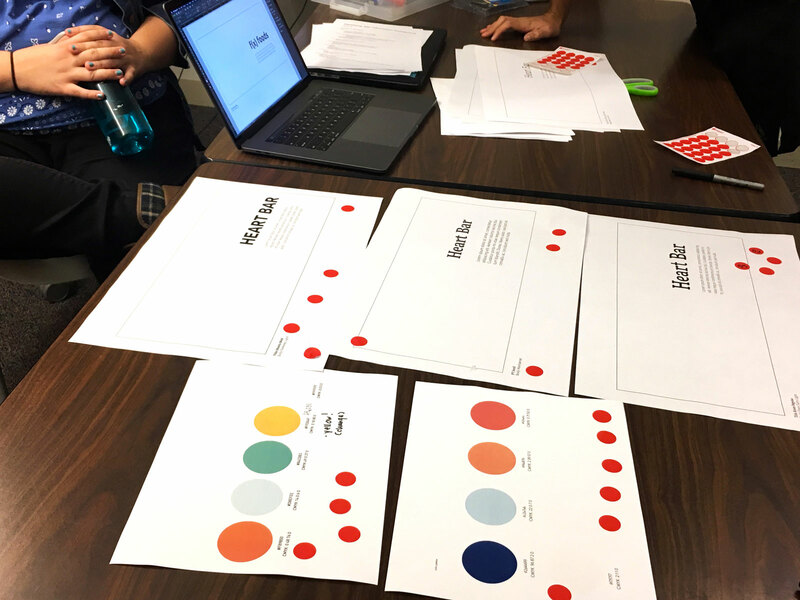 Our team did branding exercises with the client to determine a visual direction for the brand. 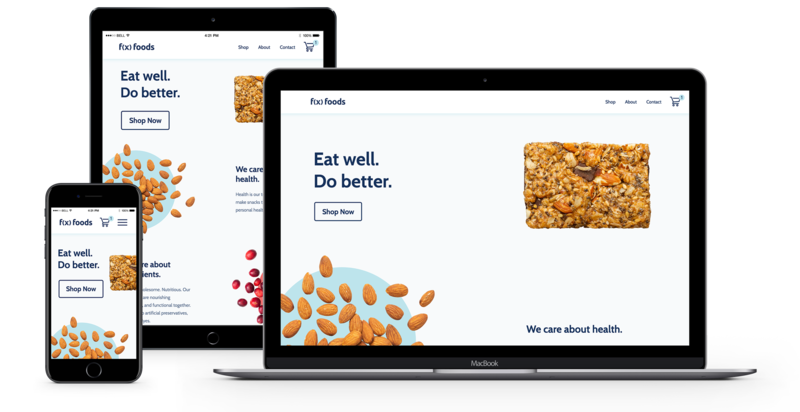 We also researched competitor snack bar brands, and conducted user interviews to identify what packaging elements users found compelling. The logo went through a number of iterations, with each member of our team contributing ideas. Before diving into detailed packaging designs, we created low fidelity wireframes to determine what layout appealed most to our client. I created these lo-fi wireframes to explore messaging for the About page of the marketing site. Each week, our team met with our client to review that week's work. It was an amazing experience to work with such a talented and warm team, and I learned so much from each of them.